In order for the purchaser and/or holder (hereinafter referred to as you "You" or "Your") of a valid wristband or ticket ("Ticket") to enter the Freaky Deaky Music Festival (the "Festival"), You must possess a valid Ticket that permits access to the Festival and check in at marked locations during specified time periods. For safety reasons, Company reserves the right to, without any prior notice or compensation to You: postpone, cancel, interrupt or stop the Festival; provisionally keep visitors on the Festival site at the end of the Festival; totally or partially vacate the Festival site; and deny access to the Festival site regardless of the possession of a valid Ticket. Subject to the limitations of this Agreement, the Company reserves the right to change, modify, or alter any aspect of the Festival (including, without limitation, the appearance of any performer or artist, and/or the order of performance of any performer or artist), at any time, for any reason whatsoever, without any prior notice or compensation to You. You understand that the artists and/or lineup for the Festival may be changed and that such occurrence shall not, under any circumstances, entitle You to any claim whatsoever, including, but not limited to, a refund for Your Ticket. You understand, acknowledge, and agree that the names of any artist, act or performer contained in any Festival promotional material is intended for informational purposes only, and does not, in any way, represent the importance or headline status of any single artist, act or performer, and is subject to change without prior notice. EXCEPT AS EXPLICITLY OTHERWISE PROVIDED HEREIN, YOU UNCONDITIONALLY UNDERSTAND THAT ALL TICKET SALES ARE FINAL. THERE WILL BE NO TICKET REFUNDS AND/OR TICKET EXCHANGES. 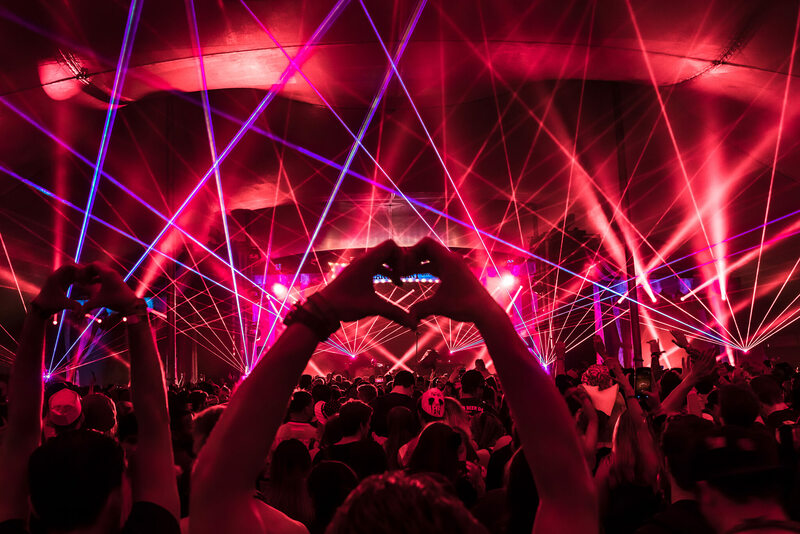 THE FESTIVAL IS A RAIN OR SHINE FESTIVAL. If the Festival is cancelled in whole, or in part, due to a Force Majeure Event (as defined below), You will not be entitled to a refund. Notwithstanding the foregoing, the Company may issue, at the Company's sole and absolute discretion, a partial or full refund of Your Ticket, by accounting for, among other considerations, the extent and nature of the cancellation. A "Force Majeure Event" shall mean an act of God, act of terrorism, earthquake, wildfire, flood, tsunami, strike or other labor condition or dispute, an order or injunction of any court or administrative body or any other act of public authority, severe weather threatening the safety of Festival attendees or similar contingency or unexpected event, and any such occurrence beyond the reasonable control of Company. You understand that in all instances, the maximum remedy You may receive for any cancellation of any part of the Festival, if any, will be the face value of Your Ticket, excluding all fees and/or service charges paid by You in connection with the purchase of Your Ticket. By entering the Festival, You assume any and all risk and/or danger, known and unknown, foreseeable and unforeseeable, resulting from, or incidental to, the Festival, whether occurring prior to, during, or subsequent to, the Festival, including, but not limited to, any death, personal injury or loss, damage or liability whatsoever. You understand that Your use of Your Ticket is contingent upon Your voluntary assumption of the risk and danger that may result from, or be incidental to, Your presence at the Festival, whether occurring prior to, during or after the Festival, including, but not limited to, any actions or omissions of the Company Parties (as defined herein). You acknowledge and understand that the Ticket is a revocable license to attend the Festival for which it was issued, which is subject to revocation and denial of admission without compensation for any reason, including, but not limited to, Your attempted or actual violation of any of the rules set forth herein, policy or regulations and for any other action taken by You in violation of any local, state or federal law, or that may endanger other ticketholders. In order to enter into the Festival, You must have Your own valid Ticket. One Ticket is required per attendee and will only be valid on the day(s) of the Festival and area(s) of the Festival as indicated on the Ticket. Your Ticket is not redeemable for cash. There will be no replacements for Tickets that are lost, stolen, destroyed or damaged and You unconditionally accept the risk of damage to, loss of and/or theft of Your Ticket. 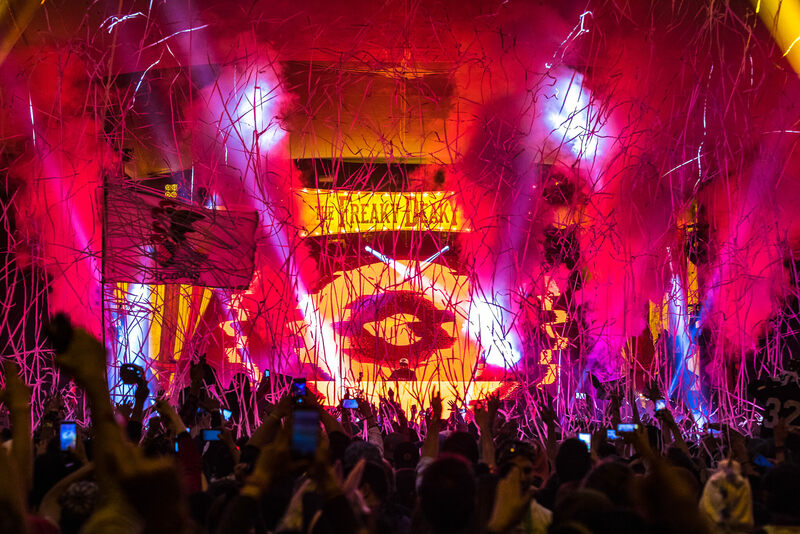 To ensure that Your Ticket is valid, purchase Your Tickets from SeeTickets ("SeeTickets") or any other Company-authorized sale channels listed on the official Company website, located at http://freakydeakytexas.com. Tickets from unauthorized sales channels (e.g., scalpers) may be forged. In no event will forged tickets be honored or eligible for a refund. If you purchase your Ticket using the installment plan option, offered by SeeTickets, as a payment option, you can pay in installments, then your purchase will be subject to the SeeTickets installment plan terms and conditions. If You have any questions or concerns regarding ticketing for the Festival, including but not limited to, payment plans, please contact SeeTickets customer support. You must submit Your Ticket for validation upon entry into the Festival. Entry into the Festival is limited to persons that meet the minimum age requirements on or before the day of the Festival. To enter the Festival as a General Admission Ticket holder, You must be at least eighteen (18) years of age or older. To enter the Festival with a VIP Ticket, you must be at least twenty-one (21) years of age or older. The Festival is intended for mature audiences only. You must have one of the following forms of approved identification to enter the Festival that demonstrate proof of age. No exceptions will be made, even if You are accompanied by an adult or a person with valid identification. Failure to provide valid identification shall preclude You from entering the Festival and You shall not be entitled to any refund nor will You be entitled to, or will the Company be liable for, any other damages, including, but not limited to, incidental and/or consequential damages. In addition, during the Festival, You must be able to provide valid identification if requested by a member of security or crew. If You are not able to show a valid identification, You may be promptly ejected from the Festival without the opportunity to return to Your locker, and You shall not receive a refund of Your Ticket. Government-Issued Identification Card with Photo. Copies of any acceptable forms of identification. Are clearly suffering from alcohol intoxication which, in Festivals staff's sole discretion, has caused You to be in an impaired state. Engage in fighting or disruptive behavior. Wear clothing with obscene or indecent language. Resist the direction of and search by the Festival security guards and security services. Refuse to declare and forfeits objects that are prohibited, as set forth herein. Distribute flyers or posters on or near the Festival site. If You would like to promote one of Your events, then please visit the official Company website for more information. Act in violation of the provisions of one or more articles of these regulations or in the spirit thereof. Please note all ticket holders will be searched upon entering the Festival site. Security guards will inspect all objects brought onto the Festival site including, but not limited to, clothing, luggage and other personal items in order to detect objects that may disrupt the course of the Festival, jeopardize the safety of other ticketholders, or disturb the peace. 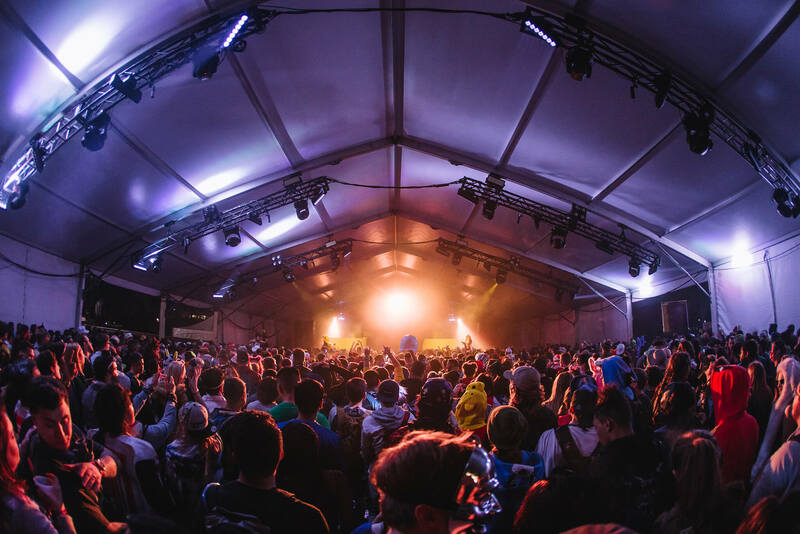 Security guards may search any persons and property on the Festival site at any time, including, but not limited to, storage lockers, and confiscate any prohibited items, in their sole discretion. Given the volume of attendees, it is not guaranteed that these objects will be returned to You. For that reason, please read Article 4 carefully. NO WEAPONS OF ANY KIND (REGARDLESS OF PERMIT). NO PAINT OF ANY KIND (INCLUDING PAINT MARKERS AND SPRAY PAINT). NO LARGE CHAINS OR SPIKED JEWELRY. NO PROFESSIONAL RECORDING EQUIPMENT - PHOTO, VIDEO OR AUDIO (INCLUDING DETACHABLE LENSES, TRIPODS, BIG ZOOMS, ECT). NO FLAGS OR TOTEMS WITH METAL OR WOOD PIECES. TOTEM DETAILS: NO Totems which contain metal pieces, sharpened elements, or are capable of being pounded into the ground or hurting others. Totems and flags without these pieces are deemed safe and adhering to these guidelines will be allowed. NO PRE-FILLED VAPE PENS (See allowed list below for vape specifics). NO STUFFED ANIMALS/DOLLS (including stuffed animal purses). NO UNSEALED OVER THE COUNTER MEDICATIONS/VITAMINS (PRESCRIPTION DRUGS IN NON-APPROVED CONTAINERS MUST BE TURNED OVER TO MEDICAL). NO BICYCLES, SCOOTERS, GO CARTS, SKATE BOARDS, HOVERBOARDS OR ATVS. NO PETS – UNLESS it is a service animal. Please email Your questions regarding service animals to the Company at info@freakydeakytexas.com. NO OUTSIDE FOOD OR DRINKS, INCLUDING CANDY. NO BACKPACKS WITH MULTIPLE POCKETS OR MULTI-POCKET BAGS. NO BAGS BIGGER THAN 12" x 12" INCLUDING PURSES. NO BOTA BAGS (Empty Hydration Packs and Camel Baks are permitted. Must be able to remove water pouch from bag). NO SPORTS EQUIPMENT (INCLUDING FRISBEES). NO TENTS OR CAMPING GEAR. NO SOAP, SHAMPOO, CONDITIONER OR OTHER DETERGENTS. NO MUSICAL INSTRUMENTS (INCLUDING WHISTLES). NO CAMERA TRIPODS OR GO-PRO STICKS. NO WEAPONS OF ANY KIND (INCLUDING POCKET KNIVES, PEPPER SPRAY, ECT). NO WATER GUNS OR MISTERS. NO GRILLS OF ANY KIND (INCLUDING PROPANE AND CHARCOAL). NO GAS MASKS OR TACTICAL GEAR. NO AEROSOL CANS (INCLUDING DEODORANT, BUG SPRAY, SUNSCREEN AND PERFUME). NO DRONES OR UNMANNED AERIAL VEHICLES. Any other items deemed as posing a threat to the safe enjoyment of the patrons. If You bring any of the items on the above prohibited items list into the Festival, such items will be confiscated and discarded and You will be subject to removal from the Festival based on the sole discretion of Company. Under no circumstances will Company hold any prohibited items for You. PLEASE RESPECT YOUR BODY AND MIND. ALL PERSONS AND PROPERTY ARE SUBJECT TO SEARCH AND MAY BE REQUIRED TO TAKE OFF YOUR SHOES DURING SEARCH. FREAKY DEAKY TEXAS HAS A ZERO TOLERANCE FOR ILLEGAL ACTIVITIES. THE USE OF ILLEGAL DRUGS AND UNDERAGE DRINKING IS NOT PERMITTED. ANYONE FOUND WITH ILLEGAL DRUGS WILL BE SUBJECT TO REMOVAL FROM THE FESTIVAL AND WILL NOT BE ALLOWED BACK IN. Try to access or be in sections restricted to certain ticketholders unless in accordance with Your Ticket or credentials, such as production rooms, artists' lodges, VIP zones, press rooms, offices, backstage and working areas. Climb tents, constructions, fences, closures, lighting columns, tables, benches or any other infrastructure of the Festival site. Obstruct entrances, exits and evacuation routes and/or to linger at these locations any longer than strictly necessary for entering or exiting the Festival site. Wear a disguise or obstruct Your face to avoid being recognized. Display or make texts, symbols, images, gestures, wear clothing or articles of dress which, in the sole discretion of Festival staff or security personnel, contain and/or display language and/or images which are obscene, racist, xenophobic, provocative, or discriminatory. Be under the influence of illegal drugs or any other illegal substances. Be clearly suffering from alcohol intoxication that, in Festivals staff's sole discretion, has caused You to be in an impaired state. Disturb the peace, demonstrate an intent to disturb the peace or provoke someone else to do so, or compromise the safety of the general public. Sell drinks, food, or any other product without the express consent of the Company. Throw or shoot any object or liquid, or throw or shoot any other product in loose or gaseous form. Smoke in the non-smoking areas. 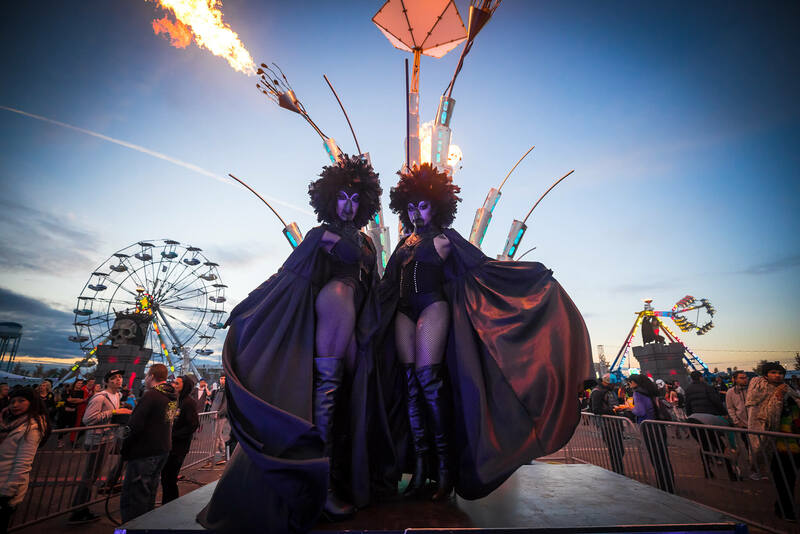 Re-enter the Festival after being removed or banned from the Festival, even if You are in possession of a new Ticket (such Ticket will not be refunded). Deface, mark, damage, tear down or otherwise destroy, in whole or in part, any of the decorations or part of the Festival site. Litter or fail to maintain the cleanliness of the Festival site. Resist the direction of, and search by, security personnel. Refuse to declare and forfeit objects that are considered to be dangerous or off-limits by the Festival's security personnel -- security personnel are under no obligation to return such forfeited items. Act in violation of the provisions of one more articles of these regulations or the spirit thereof. You must heed the directions of Festival organizers and security personnel at all times whilst on the Festival site. If You fail to comply with such directions, You will be removed from the Festival site, and, if necessary, Festival staff may call on the police for assistance. Ticketholders that exit the Festival will have to purchase a new Ticket to re-enter the Festival the same day. 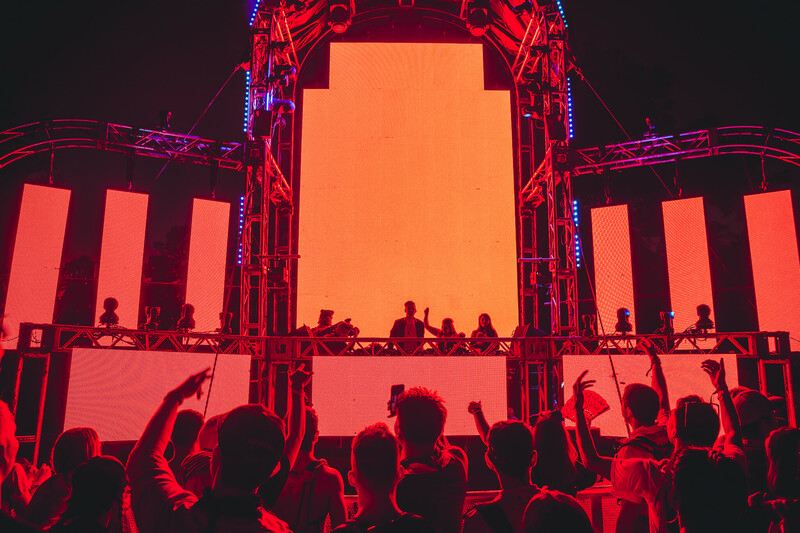 If You are removed from the Festival, Your ticket shall not be refunded and You will be denied re-entry, even if You are in possession of a new Ticket. If You have a new Ticket, Festival staff may seize that Ticket and You shall not receive a refund. Anyone caught forging entry tickets or any other special admission tickets in order to access or sell such tickets to the Festival will be prosecuted without exception. Counterfeit tickets will not be honored or refunded by the Company and Your purchase of such ticket(s) is not binding on the Company whatsoever. Anyone caught tampering with or sharing their Ticket will be immediately ejected and banned from the Festival. Tickets may not be resold without prior explicit permission from the Company. Tickets which appear to have been resold without permission from the Company will not be honored or subject to a refund. The resale, attempted resale, or purchase of Your Ticket at a price higher than the official purchase price from the authorized ticket agent SeeTickets, or other Company-authorized sale channels, is grounds for seizure and cancellation of Your Ticket without compensation. The only valid tickets are those purchased and/or redeemed through SeeTickets or other Company-authorized sale channels listed on the official Company website. Tickets may not be used in association with any giveaway, sweepstakes, contest or similar activities, including, but not limited to, as a prize or incentive, without the Company's prior written consent. Any Ticket so used will automatically become void at the Company's sole discretion with no refund to You and/or the ticketholder. By attending the Festival, You understand, agree and acknowledge that (i) You may be photographed and filmed, and (ii) You hereby provide the Company with Your absolute, express consent to be photographed and filmed. You further understand and agree that these images and/or recordings can be registered, stored, transmitted, broadcast/streamed, rebroadcast, and sold for archival, promotional, and/or commercial purposes, in any manner, and in any media, now known or hereafter discovered, without any compensation to You. Your name, image and/or Your likeness may be captured as part of and/or used in connection with any broadcast/stream, audio, visual, or audio-visual recording, photograph, or other reproduction or other publication of the Festival (the "Footage") and may also be used by or on behalf of the Company or any of the Company's parent entities, subsidiaries, affiliates, partners, sponsors, officers, shareholders, successors or assigns for any purpose, including, but not limited to, archival, promotional, and commercial purposes, without any compensation to You. You waive all other rights in and to the Footage, including, but not limited to, all claims of so-called moral rights. This Footage may be used as a means to identify and facilitate the prosecution of illegal or impermissible conduct. At the Festival, there will be camera surveillance for the purpose of ensuring the safety and proper operation of the Festival. 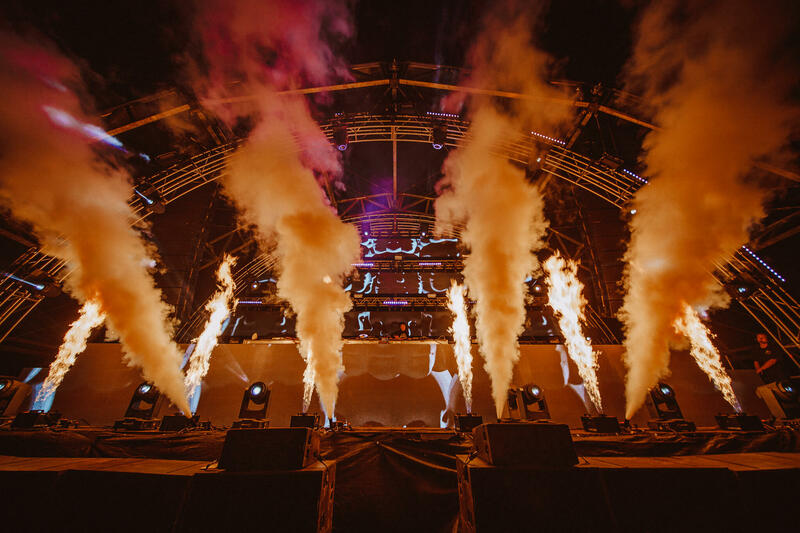 The Footage may be registered or stored by the Company or governmental authorities for the purpose of ensuring the security and safety of Festival attendees and the enforcement of and compliance with the safety regulations on the Festival site. Any recordings made by ticketholders on or near the Festival site may not be used for commercial or public purposes, unless consented to by the Company (including, without limitation, having ads run on or beside such videos on YouTube and other video sharing websites). Non-professional grade small video cameras and cameras are allowed at the Festival site. Official T-shirts and other Festival souvenirs are only on sale within the Festival site. Unless you have received written permission from Company, You may not sell any items at the Festival. Unauthorized sale of goods at the Festival may result in your removal from the Festival. The Company disclaims all responsibility from losses or damages to vehicles parked on or near the Festival. The Company is not responsible for losses or damage to any vehicle towed from the Festival site. You must maintain the cleanliness of the Festival site and dispose of refuse properly. The collecting points for garbage and recycling on the Festival site will be clearly indicated. The bathroom facilities at the Festival are free of charge. It is forbidden to use any other location as a bathroom facility. The Company has a zero tolerance policy regarding illegal drugs. It is forbidden on the Festival site to: (i) use, distribute, sell and/or to be in possession of illegal drugs; and (ii) distribute, sell or improperly use prescription or over-the-counter drugs. You understand and agree that Your use of the Ticket is contingent upon Your unconditional and voluntary acceptance to be searched for the presence of drugs, weapons, objects that may disrupt the peace or jeopardize the safety of other ticketholders, and/or other prohibited items prior to Your admission to the Festival site, and/or at any time thereafter. If any of these items are found, this License for admission shall be immediately revoked, such items will be seized by security personnel and forfeited by You, or You will be immediately removed from the Festival. Notwithstanding the foregoing, You are permitted to bring into the Festival prescription drugs if You have a valid prescription with Your name clearly listed on the prescription. You will only be allowed to carry the dosage of medication required for the duration of the Festival. If You are in violation of this rule, You will be immediately ejected from the Festival site. 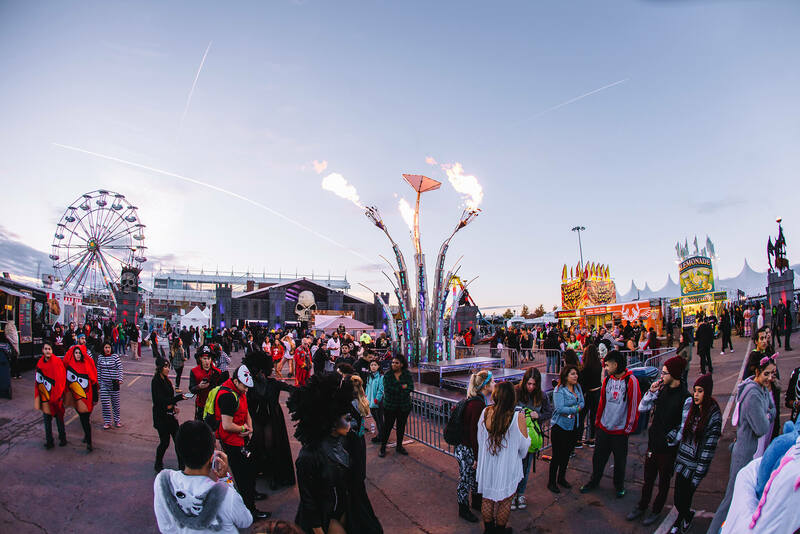 The Festival staff will closely monitor any potential illegal or prohibited drug activity, relying in part on security cameras placed throughout the Festival site. Company may choose to, but shall not be required to, offer amnesty bins at the Festival. By entering the Festival site, You consent to be searched by Festival staff. If You refuse to submit to a search by Festival staff, You will be denied entry to, or ejected from, the Festival site. ATMs may be available at the Festival site. Rental lockers may be provided at the Festival, in which case You will be able to access them throughout the duration of the Festival. Some open-air stages are fitted with large screens enabling anybody who is standing further away to enjoy the Festival. 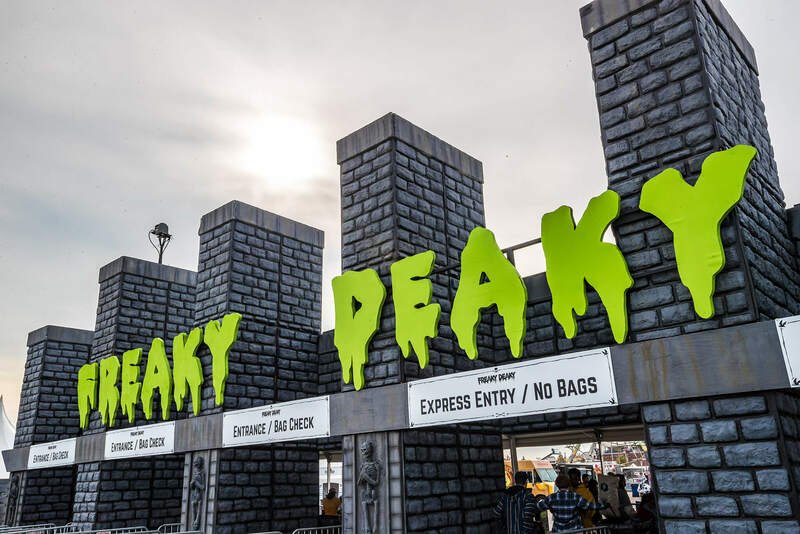 If You would like additional information about available ADA accommodations, please email the Company at info@freakydeakytexas.com or visit the official Company website for details at http://freakydeakytexas.com. Due to weather or other conditions, the floors and/or Festival grounds may in whole, or in part, slippery. You hereby consent to medical care and transportation in order to obtain treatment in the Festival of injury as Festival staff, security, police or medical professionals may deem appropriate in their reasonable discretion. You understand this waiver extends to any liability that arises out of, or is in any way connected with, the medical treatment and transportation provided in the event of an emergency and/or injury. You hereby agree to release and hold harmless the Company Parties from any liability arising out of or in connection with the actions or omissions of the Company Parties related to Your medical care. You recognize and acknowledge that there are hazards and risks of physical injury or illness and that not all such risks can be fully eliminated. By entering the Festival site, You voluntarily agree to assume the full risk of death, bodily injury or property damage, regardless of severity, that may sustain as a result of attendance at the Festival or while on the premises, except to the extent caused by the gross negligence or willful misconduct of the Company Parties. You hereby indemnify and hold harmless the LiveStyle, Inc., Disco Donnie Presents, LLC, Sam Houston Race Park, LLC, their related and affiliate companies, and each of their respective representatives, officers, directors, owners, members, trustees, agents, employees, successors and assigns, SeeTickets, and any other designated ticketing agent, Festival sponsors/promoters, and the performing artists, including, but not limited to, their respective management, their agents, their staff and their designees (collectively, the "Company Parties") from any loss, liability, damage or cost in any way arising out of, or related to, Your actions and omissions at, around, or while traveling to and from, the Festival. You hereby waive, discharge, hold harmless and covenant not to sue the Company Parties from any and all liability arising out of, or in connection with, the Festival, for any claims, causes of action, obligations, lawsuits, charges, complaints, controversies, damages, costs or experiences of whatsoever kind, nature, or description, whether direct or indirect, in law or in equity, in contract or in tort, or otherwise, whether known or unknown, arising out of, or related to, the Festival, Your attendance at the Festival, or Your travel to and from the Festival, except to the extent caused by the gross negligence or willful misconduct of the Company Parties. IN NO EVENT WILL THE COMPANY PARTIES OR THEIR SUPPLIERS, ADVERTISERS AND SPONSORS, BE RESPONSIBLE OR LIABLE TO YOU OR ANYONE ELSE FOR, AND YOU HEREBY KNOWINGLY AND EXPRESSLY WAIVE ALL RIGHTS TO SEEK, DIRECT, INDIRECT, EXEMPLARY, INCIDENTAL, SPECIAL, PUNITIVE OR CONSEQUENTIAL DAMAGES OR LOST PROFITS, REVENUES OR BUSINESS OPPORTUNITIES, OR OTHER DAMAGES OF ANY TYPE, AND ANY RIGHTS TO HAVE DAMAGES MULTIPLIED OR OTHERWISE INCREASED, ARISING OUT OF, OR IN CONNECTION WITH, THE FESTIVAL OR ANY PRODUCT OR SERVICE PURCHASED AT THE FESTIVAL, EVEN IF THE COMPANY PARTIES HAVE BEEN ADVISED OF THE POSSIBILITY OF SUCH DAMAGES, AND REGARDLESS OF WHETHER THE CLAIM IS BASED UPON ANY CONTRACT, TORT, OR OTHER LEGAL OR EQUITABLE THEORY. WITHOUT LIMITING THE FOREGOING, YOU EXPRESSLY ACKNOWLEDGE AND AGREE THAT THE COMPANY PARTIES WILL HAVE NO LIABILITY OR RESPONSIBILITY WHATSOEVER FOR (a) ANY FAILURE OF ANOTHER ATTENDEE OF THE FESTIVAL TO CONFORM TO THESE RULES, (b) PERSONAL INJURY OR PROPERTY DAMAGE OF ANY NATURE WHATSOEVER, WHETHER ARISING IN CONTRACT OR IN TORT, RESULTING FROM YOUR ATTENDANCE AT THE FESTIVAL, (c) ANY ERRORS, MISTAKES, INACCURACIES OR OMISSIONS IN ANY CONTENT, OR (d) ANY LOST, STOLEN OR DAMAGED TICKETS, OR FAILURE OF FESTIVAL STAFF OR SECURITY TO HONOR YOUR TICKET. YOUR SOLE AND EXCLUSIVE REMEDY FOR DISSATISFACTION WITH THE FESTIVAL IS TO LEAVE THE FESTIVAL. THE LIMITATIONS IN THIS ARTICLE 17 SECTION 3 WILL APPLY EVEN IF ANY LIMITED REMEDY FAILS ITS ESSENTIAL PURPOSE. THE ALLOCATION OF RISK BETWEEN US IS AN ESSENTIAL ELEMENT OF THE BASIS OF THE BARGAIN BETWEEN US. SOME JURISDICTIONS DO NOT ALLOW THE EXCLUSION OR LIMITATION OF DAMAGES, SO THESE MAY NOT APPLY TO YOU. IN SUCH CASES, THE COMPANY PARTIES' LIABILITY WILL BE LIMITED TO THE FULLEST EXTENT PERMITTED BY APPLICABLE LAW. IN NO EVENT WILL ATTORNEYS' FEES BE AWARDED OR RECOVERABLE BY YOU. In no event shall the Company Parties be liable for any claim unless written notice is given within six (6) months from the date of the loss. No suit for any cause may be maintained against the Company Parties unless it is commenced within one (1) year after the Festival. The parties hereto specifically consent to personal jurisdiction of said courts. YOU HEREBY ACKNOWLEDGE AND AGREE THAT ANY DISPUTE IS LIKELY TO INVOLVE COMPLICATED AND DIFFICULT ISSUES, AND THEREFORE, YOU KNOWINGLY, VOLUNTARILY, INTENTIONALLY, IRREVOCABLY AND UNCONDITIONALLY WAIVE ANY RIGHT YOU MAY HAVE TO A TRIAL BY JURY IN RESPECT OF ANY DISPUTE OR CONFLICT IN CONNECTION WITH THIS AGREEMENT. These terms shall be governed by and construed under the laws of the State of Texas. Any controversy or claim arising out of or relating to these terms shall be brought only in the courts located in Harris County in the State of Texas, unless otherwise specified. 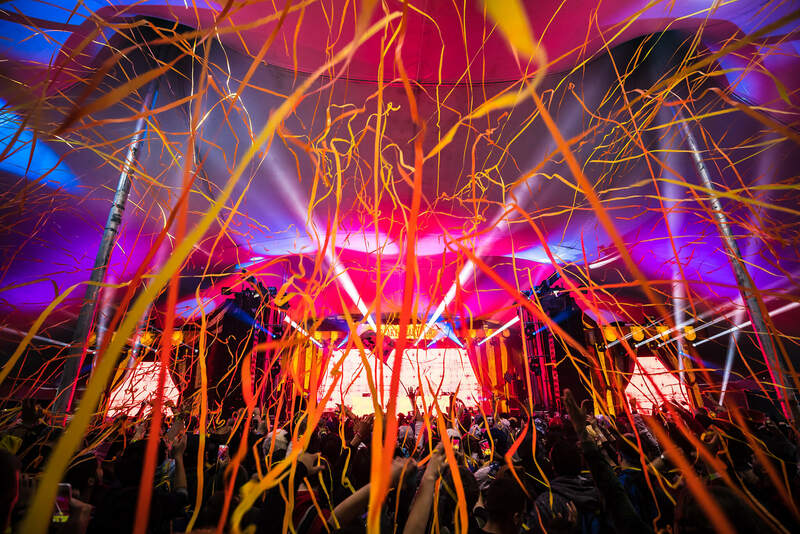 You understand that the Company Parties and all other related parties, including, but not limited to, each of the Company Parties and the related parties' management, employees, and agents, will not be held responsible, financially or otherwise, for any items that are left, lost, stolen, destroyed, confiscated, damaged or misplaced anywhere at the Festival site regardless of fault or reason, so act accordingly. Any and all losses incurred by You under this Article 18, Section 4 shall be subject to Article 17, Section 1 above. The Company recommends that You do not bring any valuables to the Festival. You unconditionally agree that the terms and conditions contained herein and/or referenced herein represent the entire agreement between You and the Company with respect to its subject matter, and shall supersede and replace all prior contemporaneous understandings, communications, and agreements, written or oral, regarding such subject matter which contradict these terms, including, but not limited to, the text contained on the back of the actual Ticket and/or any contrary understanding or agreements between You and the Company. You further confirm that there are no other agreements between You and any of the other Company Parties. You unconditionally agree to be bound by any and all of the terms and conditions contained herein and/or referenced herein and any additions, changes and/or modifications thereof, which may be made from time to time without prior notice to You. Any updates to our new terms and conditions will be posted to this website address. If any provision of this Agreement is found to be invalid or unenforceable, that provision shall be enforced to the maximum extent possible so as to effect the intent of the parties hereto, and the other provisions contained herein will remain in full force and effect. Company's failure to insist upon or enforce any provision of this Agreement shall not be construed as a waiver of any provision or right. ©2018 Disco Donnie Presents, LLC. All Rights Reserved. Relive the Freaky Memories With the Official Photo Albums! Find What’s Missing at Lost & Found! Disco Donnie Presents Cheers to 25 Years! Sunshine and Clear Skies for Freaky Deaky! Jump Start Your Weekend with a Handy Guide! Don’t Freak! the Festival Map Is Here! Freaky After Parties Each Night! View the Complete Artist Schedule Now!